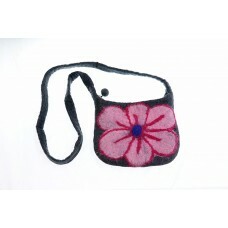 Felt washed flower Bag is Hand Made in Nepal.The size of the bag is 13x18 cm and strap size is 110cm..
Finger Side Puppet Bag is Hand Made in Nepal.The size of the bag is 15x20cm and strap size is 100 ..
Folding Flower Big Bag is Hand Made in Nepal.The size of the bag is 30x28cm and strap size is 106 .. 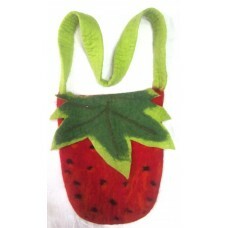 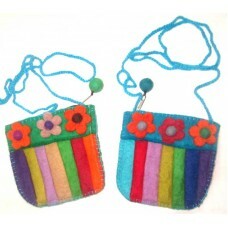 Medium Angel BagMedium Angel Bag is Hand Made in Nepal.Available in assorted color.This product is.. 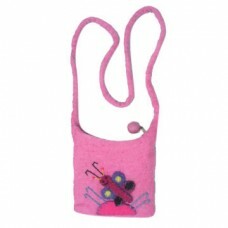 Medium Folding Bag is Hand Made in Nepal.Available in assorted color.This product is hand made the..
Panda Bag is Hand Made in Nepal.The size of the bag is 30x28cm and strap size is 105 cm.Available ..
Passport BagPassport bag with ball handle is Hand Made in Nepal.The size of the bag is 13x18 cm and ..
Red Heart BagRed Heart Bag is Hand Made in Nepal.The size of the bag is 15x15.This product is ha..
Small Butterfly BagSmall Butterfly Bag is Hand Made in Nepal.The size of the bag is 15x15 cm and s..
Small Lady Bug BagSmall Lady Bug Bag is Hand Made in Nepal.The size of the bag is 15x15 cm and str..
Small Mushroom BagSmall Mushroom Bag is Hand Made in Nepal.The size of the bag is 15x15 cm and str..
Small Purse With HandleSmall Purse with Handle is Hand Made in Nepal.The size of the bag is 15x15c..
White Garden BagWhite Garden Bag is Hand Made in Nepal.The size of the bag is 13x18cm and strap si..